Thanks for sharing This is a great post, I stumbled across your article while looking for some random stuff. Thanks for sharing, I’ll be sure to return regularly. 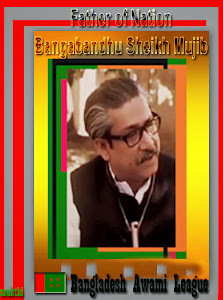 Bangabandhu Sheikh Mujibur Rahman and his family members apart, a number of people were murdered in three separate incidents on August 15, 1975, but no effective move has yet been made to bring the guilty to justice. Disgruntled army personnel killed Sheikh Mujib's nephew Sheikh Fazlul Haque Moni, founding chairman of Awami Jubo League, and wife Arzu Moni at their Dhanmondi home. Mujib's brother-in-law Abdur Rab Serniabat, former water resources minister, was murdered at his Minto Road house. A mortar attack by a group of army men killed 14 other people in Mohammadpur, taking the death count to 34 on that fateful day. Three murder cases, separate from the killing of Bangabandhu, were filed in 1996, but they are still on the back burner. Law Minister Shafique Ahmed said he was unaware of the present status of the three cases. Those were the home ministry's concern, he added. Despite several attempts, Home Minister Sahara Khatun or State Minister for Home Shamsul Haque Tuku could not be reached yesterday for comment on the issue. Attorney General Mahbubey Alam said he would take steps to get the cases disposed of.Alam said he would soon ask the government to provide him with necessary documents to revive the cases. All cases involving the August 15 killings should be disposed of -- to bring the perpetrators to book, said the attorney general. In January, five condemned killers of the father of the nation were executed after a Supreme Court verdict in the Bangabandhu murder case filed in October 1996. A band of 25 to 30 army men surrounded Sheikh Moni's house-170 on Road 13/1 in Dhanmondi at around 1:30am on August 15, 1975. Carrying Sten gun and Chinese rifle, eight to ten of them in black uniform went up to the first floor and got down after firing shots. Moni's close aide Mohammad Shahabuddin, who was on the ground floor, went upstairs and saw Moni and his wife Arzu lying on the floor in a critical condition. 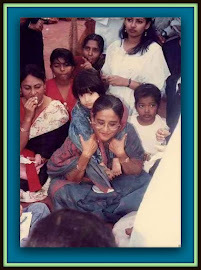 Moni's parents, younger sister Sheikh Rekha and brother Sheikh Fazlul Karim Selim were sobbing. Sheikh Maruf, younger brother of Moni, turned up there. Arzu cried to Selim for help and asked him to save them and their two sons -- Sheikh Fazle Shams Porosh and Sheikh Fazle Noor Taposh. Shahabuddin, Selim and Maruf took Sheikh Moni and Arzu to Dhaka Medical College and Hospital where the doctors declared them dead, read the statement of the murder case filed by Shahabuddin with Dhanmondi Police Station on November 20, 1996. Sixteen people including former deputy minister Taheruddin Thakur were made accused in the case. Criminal Investigation Department (CID) gave the final report in the case on August 22, 2002 and had it dismissed in secrecy, ignoring the legal bindings. The Dhaka Chief Metropolitan Magistrate's Court on December 30, 2002 accepted the final report and acquitted all accused without notifying the complainant. Neither the investigation officer nor the court concerned informed the complainant about the fate of the probe. A group of army personnel led by Maj Shahriar Rashid, Maj Aziz Pasha, Capt Majed and Capt Nurul Huda stormed Serniabat's residence on 27 Minto Road at about 5:00am. They went up to the first floor and broke the door. 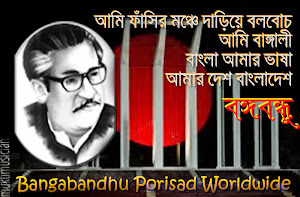 Confused, Serniabat made a phone call to the residence of Bangabandhu. The army officials rounded up the residents at the drawing room on the ground floor. Shahriar and Majed fired shots at them. Frightened Beauty Serniabat caught hold of her father Abdur Rab Serniabat. 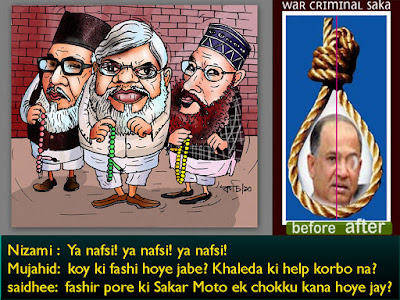 Shahriar Rashid, Aziz Pasha and Nurul Huda fired shots again and left the scene. Abdur Rab Serniabat, his nephew Shaheed Serniabat, daughter Baby Serniabat, son Arif Serniabat, grandson Babu Serniabat, who was four, domestic helps Potka and Laxmir Ma, and Abdur Naim Khan alias Rintu died on the spot. Abul Hasnat Abdullah, son of Abdur Rab Serniabat, survived hiding behind a door. Shahan Ara Begum, wife of Hasnat, her mother-in-law Amena Begum, brother-in-law Abul Khair Serniabat, sisters-in-law Beauty and Rina Serniabat, and domestic helps Rana, Rafiqul Islam, Lalit Das and Golam Mahmud were seriously injured, said the statement of a case filed by Shahan with Ramna Police Station on October 21, 1996. Eighteen people were charged with murder in the case. But the proceedings of the case were stayed by the High Court in November 1999 following a criminal revision filed by Bazlul Huda, one of the accused, against the order of charge framing. The stay order remains in force till date. Mohammad Ali, a resident on Sher Shah Suri Road 8 area at Mohammadpur, woke up with wounds in his left thigh at about 5:30am. He heard sound of mortar fire. Hearing cries, he went to a nearby house on Road-9 and found Rezia Begum, wife of the house owner, Musa, and their daughter Nasima dead. He then went to House-196 and 197 on Shahjahan Road in the area where he saw bodies of Habibur Rahman, Anwara Begum, another lady by the same name, Moyful Bibi, Sabera Begum, Abdullah, Rafiqul, Safia Khatun, Shahabuddin, Kasheda, Aminuddin and Honufa Bibi, all killed in mortar fire. Later he came to know that 14 people had been killed in Mohammadpur by mortar shells fired by a group of military personnel. He also learned that Bangabandhu and most of his family members were dead, Ali said in the statement of a case he filed with Mohammadpur Police Station on November 29, 1996 accusing Syed Farooq Rahman and 10 others. The case remains pending with the Fourth Additional Metropolitan Sessions Judge's Court in Dhaka.